Art Basel today announced the details of its 44th edition in Basel, Switzerland, taking place June 13 to June 16, 2013. This year, 304 leading international galleries will present 11 decades of work, ranging from the Modern period of the early 20th century to the most contemporary. The Basel show, whose lead partner is UBS, will present a geographically diverse selection of galleries from 39 countries and territories across five continents. While galleries from Europe will continue to be strongly represented, the show will offer exhibitors from across the globe. This year’s edition will see the largest-ever number of exhibitors with spaces in the Asia-Pacific region at the show. For the first time in the show’s history, galleries from the Philippines and Singapore will be present. 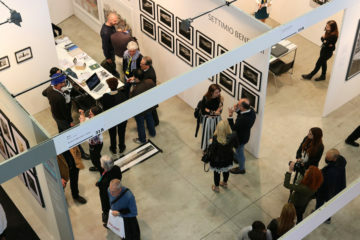 The participating galleries have exhibition spaces in: Argentina, Austria, Belgium, Brazil, Canada, Chile, Colombia, Denmark, France, Germany, Greece, Hong Kong, Iceland, India, Ireland, Israel, Italy, Japan, Lebanon, Mainland China, Mexico, Monaco, Netherlands, Norway, Philippines, Poland, Portugal, Romania, Singapore, Slovenia, South Africa, South Korea, Spain, Sweden, Switzerland, Turkey, United Arab Emirates, United Kingdom and the United States. The full gallery list is available from artbasel.com/basel/gallerieslist. This year, many elements of the show will be housed within the new extension of Hall 1, designed by internationally renowned Basel architects Herzog & de Meuron and directly sited on Messeplatz. While the previously existing part of Hall 1 will be given completely over to Unlimited, the Statements and Magazines sectors, and the auditorium for the Conversations and Salon series, will be sited within the new state of the art exhibition hall. The main sector of the show, Galleries, will feature 238 galleries presenting the highest quality of painting, sculpture, drawing, installation, photography, video and editioned works. A strong list of returning exhibitors is joined, following a brief hiatus, by Maureen Paley (London) and PKM Gallery (Seoul), while a number of galleries will exhibit within the sector for the first time, having previously shown in Statements or Feature. They include: Alison Jacques Gallery (London), kaufmann repetto (Milan), Galerie Guido W. Baudach (Berlin), Galerie Jocelyn Wolff (Paris) and McCaffrey (New York). Adding to a strong presentation of vintage photography will be first time exhibitor Howard Greenberg Gallery (New York). The full gallery list is available from artbasel.com/basel/gallerieslist. The Feature sector presents galleries with precise curatorial projects, showing both historical and contemporary work. This year’s edition will feature 24 galleries from 16 countries, the highest number of galleries since the sector’s introduction in 2010. Highlights of Feature will include a presentation by Parra & Romero (Madrid) of historical works by the Uruguayan conceptual artist Luis Camnitzer, many of which have remained unseen since their creation between 1969 and 1980. Leo Castelli Gallery (New York) will show a selection of important works, including previously unseen works on paper, dating from the 1960’s by American artist Robert Morris. RaebervonStenglin (Zurich) will show new work by veteran artist Robert Kinmont and newcomer Kilian Rüthemann that will explore the differences and similarities of their practice. 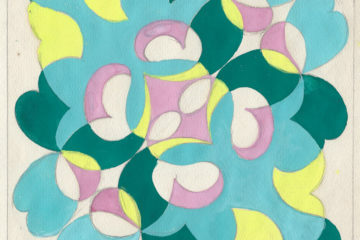 Work spanning more than a decade of Brazilian artist Sonia Gomes’ practice will be on show at Mendes Wood (Sao Paolo). Take Ninagawa (Tokyo) will show historic works by Japanese artist Tsuruko Yamazaki, including a piece originally realized for the ‘1st Gutai Art Exhibition’ in Tokyo in 1955. Further highlights include Robert Heinecken’s ‘Surrealism on TV’, presented by Cherry and Martin (Los Angeles), representing the first time the work will be shown in Europe, while Herald Street (London) will present a performance piece by Pablo Bronstein, featuring four dancers dressed as famous figures from the French Revolution, lying motionless on camp beds. Presented in the premier position within the new exhibition hall, the solo presentations of Statements will again offer visitors and collectors a prime opportunity to discover the work of emerging artists and galleries. This year, 13 of the 24 galleries exhibiting within Statements will be new to the show. Highlights of Statements will include a presentation by Meessen De Clercq (Brussels) of work by French-Vietnamese artist Thu Van Tran, consisting of a video piece and assorted supporting documents. Galeria Casas Riegner (Bogota) will show ‘Casa Desorientada’, an inflatable floating habitable module in the shape of a cube, by Colombian artist Mateo Lopez. Overduin and Kite (Los Angeles) will present an installation of video, drawings and sculpture by Los Angeles based artist Erika Vogt, while Stevenson (Cape Town) will display new work by South African artist Wa Lehulere in the form of a wall drawing and performance piece. On the first day of the show, Lehulere will perform in the booth, with the remnants of his performance remaining a part of the installation for the duration of the fair. Laurel Gitlen (New York) will present an installation of new works by Berlin-based American artist Jessica Jackson Hutchins, including a number of significant new sculptures. Silverlens (Philippines) will show new works by Maria Taniguchi, including a series of works on paper and a video piece. Chinese artist Hu Xiaoyuan, exhibited at Documenta 12, will present a new series of works consisting of wood pieces with Beijing Commune (Beijing), representing a continuation of the artist’s experimentation with the material in her practice. A full list of exhibitors in Statements is available from artbasel.com/basel/statements. The Baloise Art Prize will be awarded to two artists exhibiting in Statements, with recipients being announced during the show in June. The Baloise Group also acquires works by the award-winning artists, which it donates to Hamburger Kunsthalle, Hamburg, and MUMOK, Museum moderner Kunst Stiftung Ludwig Wien, Vienna. The institutions will hold solo exhibitions for the recipients of the award. Art Basel’s unique platform for projects that transcend the limitations of a traditional art-show stand will be curated by Gianni Jetzer, Director of the Swiss Institute in New York, for the second year running, with works ranging from large-scale sculptures and paintings to video projections, installations and live performances. Further details will be announced in the coming months. Florence Derieux, Director of FRAC Champagne-Ardenne, will for the first time curate Parcours, a series of site-specific sculptures, interventions and performances by renowned international artists and emerging talents. Each year, Parcours seeks to engage with different areas of the city of Basel, and this year will be focused on Basel’s Klingental district. Parcours is open to the public and visitor admission is free of charge. Further details will be announced in the coming months. An extensive program of talks and panel discussions will accompany the gallery presentations. The Conversations series, presented in collaboration with Absolut Art Bureau, and the Salon program offer audiences access to first-hand information on the international art world. The talks will be housed in a newly designed and enlarged auditorium within the new extension to Hall 1, sited directly on Messeplatz. Further details on Conversations, Salon and Film will be released in the coming months. The global forum for collecting, exhibiting, discussing, and creating design, runs June 11 to June 16, 2013, open daily from 11am to 7pm with a preview day on June 10 (by invitation). For its 8th edition, the show moves to Hall 1.1, within the new exhibition hall designed by Herzog & de Meuron, on Messeplatz. For more details, please visit designmiami.com. During Art Basel, the city’s museums will once again offer Art Basel’s visitors a series of significant exhibitions. Fondation Beyeler will present a major retrospective of the work of Max Ernst, alongside a show of work by Maurizio Cattelan. The Schaulager reopens after three years of renovation with the largest-ever survey of works by British artist Steve McQueen, while ‘The Picassos are Here!’ at Kunstmuseum Basel will bring together works by Pablo Picasso from many Basel collections. Kunsthalle Basel will exhibit work by Michel Auder and Paulina Olowska, while the group show ‘Some End of Things’ at Museum für Gegenwartskunst will explore the dynamics of contemporary art production. Museum Tinguely will present two exhibitions, one a large-scale presentation of Tinguely works from their collection, the other a show of new work by Lithuanian artist Zelvinas Kempinas. Vitra Design Museum will show ‘Louis Kahn – The Power of Architecture’, representing the first retrospective on the American architect in over two decades.